The issue of home security is utmost importance for many homeowners. Whether we are renting or have your own house, we want the place to be the safe and secured. In this era of technology, investing in “Smart Security” can give us a peace of mind. Here comes the brand new Netgear Arlo Q Security Camera which can capture 1080p video and is also equipped with night vision, a 2 way audio and many others. 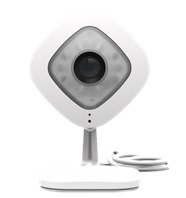 The Arlo Q (VMC3040) set is equipped with a 1080p HD video recording. Unlike many home security systems the device provides extreme clarity. Many security cameras come with blurry or distorted video recordings and it’s difficult to see object that are in motion. You are assured that you can catch every details of your home when you playback. This home security camera comes with using a built-in microphone and a speaker so that you can communicate with it from a distance. You can use it to speak to your pets or kids when you are not at home. We heard clear audio quality when standing 10-15 feet from the unit in a quiet room. But if it was a room with some activity, such as a hallway, we had to stand closer to hear the audio and to have the microphone pick up our speech. Most other systems don’t have a two-way audio whereas the Arlo Q is fully equipped with it. The Arlo Q comes with an infrared night vision and the vision is clear even in a completely dark scene or low light conditions. It can work without any ambient lighting to capture clear video and this give a better edge over others. This is the feature what every home security system buyer must look on. 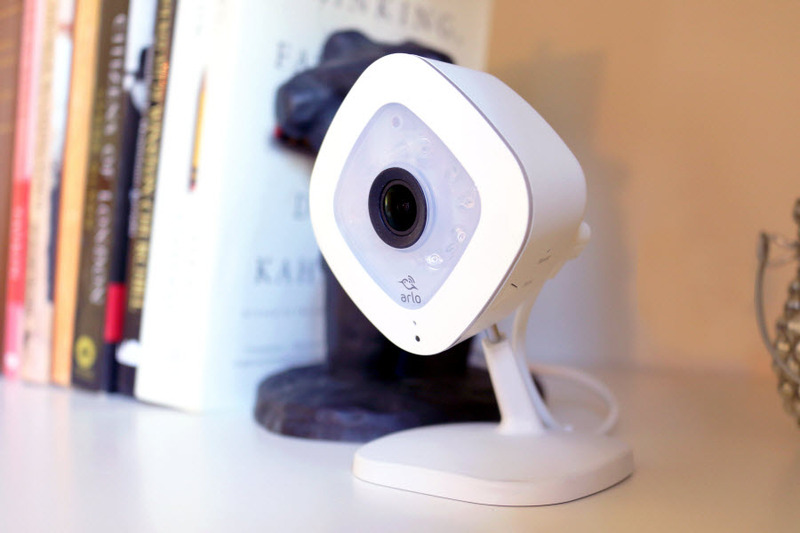 Coming with a 130-degree field of view, Arlo Q gives homeowners a wide range of vision no matter where the device is placed. It also has an 8x digital zoom feature which enables homeowners to zoom in and out on any particular subject for a closer view. You can do all these things from a free Arlo app available on iOS, Google Play and Fire OS. The best part is that you can view your home via the cameras from any web browser. You can watch up to 5 live video via the app. When you own a home security camera, you should ensure that the video and audio recordings are stored somewhere in a safe, secure and most of in a place where it is easily accessible. The Netgear Arlo Q comes with a free offer of cloud storing/recording for 7 days. If you require more storage space, you can upgrade to the higher plans that allows nonstop video and audio for extended periods. As an average user, the free storage that comes with the pack will be sufficient. If a burglar does steal the camera, we can still access the recordings stored to the cloud with their easy to use interface. As mentioned, the 130 degree angle view gives you about the same field of view as a human eye. It covers enough of the room to capture every activity. After reviewing the recorded footage, we saw events that weren’t initial noticed in person. Netgear Arlo Q also came in handy when trying to monitor areas that don’t normally have activity like our storage room. We enabled the feature that alerted us whenever motion or audio activity was detected. The alerts went straight to our mobile app. Owners can also set up activity zones in order to set particular areas to monitor motion. It is excellent for doorways or those living in high traffic areas. We can also schedule when to enable motion/audio detection to only monitor when you are at work or on a vacation. Setting up the Netgear Arlo Q Home Security Camera is pretty simple and took less then 10 minutes. You don’t need have to have any special knowledge or technical know-how. You just need to know the wireless name and password you wish to use it on. We did not need to make any configurations on our router. The whole setup process took less then 10 minutes including the time it takes to create a free system account. The camera came with a wall mount and of course there are four mounting screws. You just place the camera where you have a wide range of view and near to the power outlet. After mounting the camera you just plug it in and connect to the network using the sync feature. We appreciated Netgear used the stand microUSB connector for power. This allowed us to power the Arlo Q by plugging it into a power bank. Consuming just 5V 2A, we were able to power the camera with a 10,000mah battery bank for 5 days. Cool right?